A mesmerising, social-psychological science-fiction, page-turner which begins in a mental chaos of cross-purpose imagery. Pretty soon, however, sense begins to emerge from the three major narrative strands but connectivity only brings more enigmas. The wit is dry, but humour is not as high on the menu as violence, whether the indifference of the giant Corps which govern the solar system and swat individuals like irritating flies, or the visceral struggle of men driven beyond reason. Houghton's is a novel of ideas—a rarity these days—and at heart an investigation into the nature of humanity and artificial intelligence, and where the border between the two forms of sentience meet. An intriguing and absorbing science-fiction thriller. 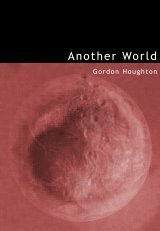 Sign into Goodreads to see if any of your friends have read Another World.